You?ve worked so hard for your home and imagining what your family would face if you lost the house through foreclosure can make you feel desperate and panicked. This can cause you to freeze and do nothing about making your loan or credit repayments, which is the worst possible situation to find yourself in. The thought of losing your home is a terrifying thing, which is why we are here to show you how bankruptcy can help stop the foreclosure process in its tracks. You are in trusted hands with our team of experts standing by to answer your questions about foreclosure and your bankruptcy declaration options. 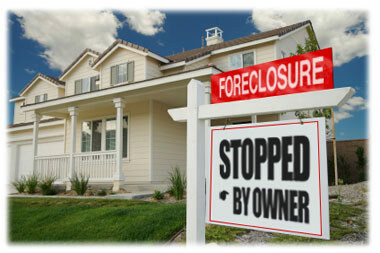 Foreclosure is the legal process that banks or lenders begin when a homeowner falls behind on their mortgage payments. If the borrower fails to make payments on their mortgage for more than 90 days or is unable to sell the home through a short-sale, their rights to the property are forfeited. Through the foreclosure process, the lender attempts to obtain physical possession of the home and can then eventually sell the seized property at auction to pay for the original buyer?s outstanding debt on the mortgage. The foreclosure timeline depends on which state the property is located and the method of the process ? either judicial or non-judicial. Non-judicial foreclosures mean that the lender is not going through the state court system to implement the foreclosure, whereas judicial foreclosures involve the state court system every step of the way. The process typically lasts upwards of 6 months, but can often be drawn out for years if it?s being carried out through a judicial foreclosure. Initially, the lender must provide you with proper notice and you will be given your chance to defend yourself in court. Before you exhaust your efforts, it is absolutely necessary to talk with our team of experts and find out how bankruptcy just may be the best way to save your home. While the foreclosure process varies by state, there are five general phases that the lenders and borrowers go through during the procedure. When a borrower has missed at least one payment on their mortgage, the lender will send out a missed payment notice. After two missed payments, the borrower may get a Demand Letter from the lender that requires a payment to be made within the next 30 days after the letter has been received. After 90 days (3 months) of missed payment, the lender files a Notice Of Default (NOD) with the court system. This is a public notice that can go on your credit report and negatively affect your credit score. When the NOD is filed, the defaulted loan will then be handed over to the lender?s foreclosure department. However, the lender will give the borrower a grace period of 30-120 days to settle the payment and resume the loan, which is typically referred to as the ?reinstatement period.? If no payments are made, the NOD is intended to make the borrower aware that they are in danger of losing all property rights and could potentially face eviction. If the default is not paid off, the next stage of foreclosure continues. This time, the lender files another public notice, called a Notice of Trustee’s Sale (NTS), with the local court system and county newspaper. The NTS will likely mention that the property will be available for sale under foreclosure and list any relevant details about the property?s description and where the auction will take place. The lender will determine a price for the foreclosed home that depends on the outstanding balance on the original, outstanding loan and any liens or unpaid taxes. At auction, the property is sold to the highest third-party cash bidder who is entitled to immediate possession. However, if the property is not sold through public auction, it will be in the possession of the lender and is usually referred to as ?bank-owned? or Real-Estate Owned (REO) as the lender attempts to sell and recoup costs through private brokers. The borrower can usually stay in their home until the the property is sold through public auction or private brokers. Since the third-party buyer is entitled to the property upon a full payment at the auction, an eviction notice can demand that the current occupants vacate immediately or have a few days to gather their belongings. There are many steps for a lender to take in order to properly foreclose on a home. Our team of expert bankruptcy and foreclosure advocates know exactly how to prolong this process so that you can continue to live in your home without fear of being thrown out as you file for bankruptcy. How Can I Manage Foreclosure On My Property? If the foreclosure process has already begun on your property, there is still a chance to salvage the situation. If you are contemplating bankruptcy to halt the foreclosure process and are ready to meet with the appropriate foreclosure advisors, it is crucial that you receive the most recent copy of your credit score and reports to bring to your bankruptcy consultation. Attorneys who fight foreclosure require a recent copy of your credit score and reports so they can properly evaluate how filing bankruptcy can save your home. It is important for a bankruptcy professional to review how your credit score has been impacted and how the loans are being held after the foreclosure process has begun ? whether the loans are with the original lender or another entity ? as well as what fees are applied to your outstanding debt. Keep in mind that this is a necessary step for any further advice about your situation once the banks have started the foreclosure process. When a person files for either a Chapter 7 or a Chapter 13 bankruptcy, an ?automatic stay? is triggered. This relief period halts any current lawsuits, wage garnishments, and the foreclosure process for the duration of the automatic stay ? this means that bill collectors and the lender?s foreclosure department must stop their actions. Even if your home is scheduled to be sold at a public auction, the filing of a bankruptcy and the implementation of the automatic stay pauses the sale for at least 90 days. Our team of expert attorneys will then fight on your behalf to make sure that the bank does not move forward with the foreclosure process, allowing you to live in your home for a few months and save money for future rent or to re-build your savings. However, the lender may eventually file a motion with the county court system to lift the stay and will be able to continue the foreclosure by following their legal rights. Not everyone can qualify for an automatic stay or relief period ? but a professional bankruptcy attorney will provide you with a free evaluation to help you understand your options.? How Do I File For Foreclosure Bankruptcy? When a property goes into foreclosure after the initial missed payments, the process can take months to complete. Your first step when considering declaring bankruptcy is to determine which option of bankruptcy best meets your needs and qualifies according to your financial situation. If you are feeling the pressure of late mortgage payments and are realizing that foreclosure is an inevitability, filing for Chapter 13 bankruptcy may be the most reasonable solution. Can Chapter 13 Bankruptcy Save My Home? Chapter 13 bankruptcy allows an individual to set up a repayment plan to pay off accumulated debt over the length of a structured plan, which can be up to 5-years. If you are successfully able to make your payments on time, you can avoid foreclosure and keep your home. Chapter 13 bankruptcy can also help some individuals erase the second and third mortgages that may have been taken out on their property. Because the first mortgage is a ?secured debt,? meaning it is secured by the value of the actual property, it cannot be eliminated. However, the second or third mortgage may no longer be considered a secured loan, especially if your property value has dropped. Chapter 13 bankruptcy will essentially ?strip? the second and third mortgages away from the home and categorize them as unsecured debt ? taking away the loan?s powers of enforcement and eliminating most, if not all, of the debt owed to imposing lenders. Our team of expert foreclosure and bankruptcy advocates is ready to get started on saving your home. Whether you file for Chapter 13 bankruptcy to restructure your mortgage payment or if you file for Chapter 7 bankruptcy to liquidate any assets and start fresh, we are here to help. Don?t panic and freeze if the foreclosure process has already begun. Get started by filling out the form for a free bankruptcy consultation. Take the first step and contact us to save your home, financial freedom, and give you peace of mind!